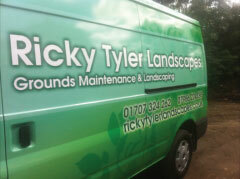 Exciting things are always happening at Ricky Tyler Landscapes. Come back to see what's going on. Ricky Tyler Landscapes can provide gardening and grounds maintenance services including Latest News covering London, Essex, Hertfordshire, Northampton, Buckinginghamshire & Bedfordshire .